ANSWER KEY provided. 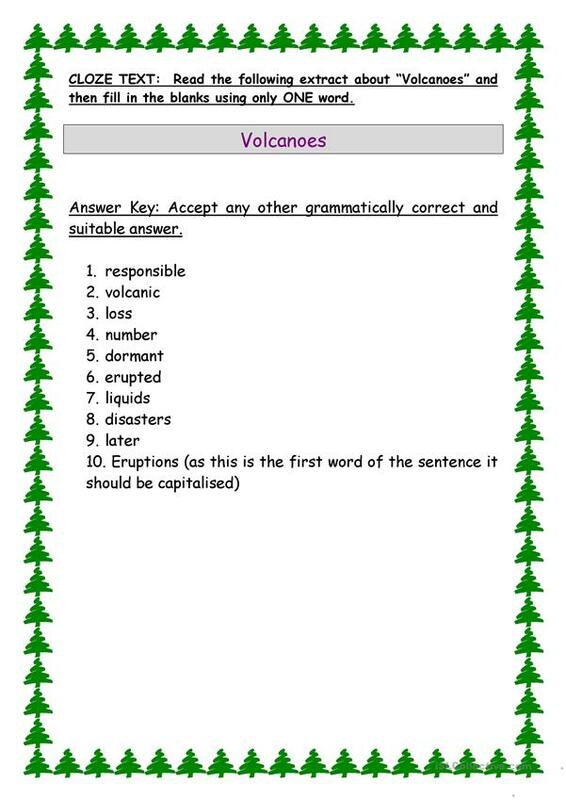 This is a CLOZE text about Volcanoes where students have to fill in the blanks with one word. It is a revision of the different parts of speech as the first step in working a cloze text is to decide what part of speech fits in the blank. 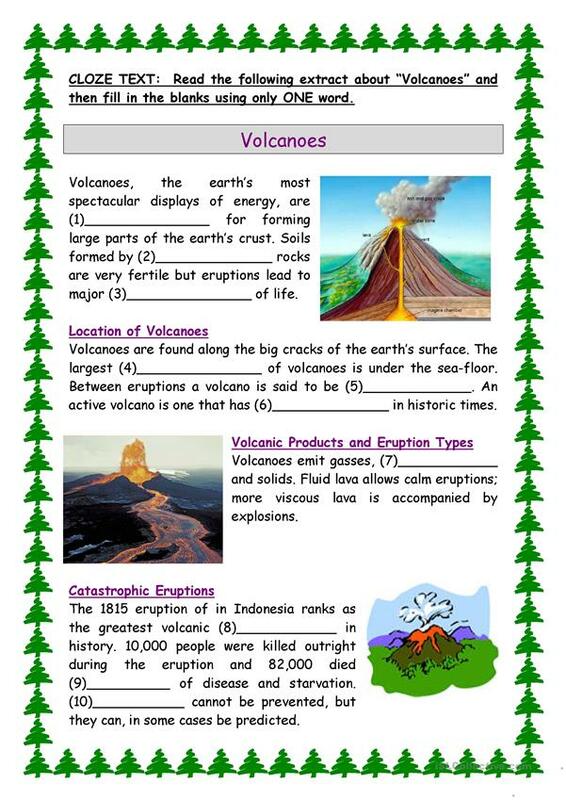 The above downloadable teaching material is meant for high school students at Pre-intermediate (A2) level. It is great for revising Parts of Speech (aka word classes, e.g. nouns, verbs, adjectives, adverbs) in English. You will find the solution at the end of the worksheet.